To make sure suitable transport arrangements are made to set down and pick-up before and after activities at the correct times. To let us know when you are unable to come to activities when booked. To pay for activities in advance (refunds are only given under special circumstances – see SAP 047 Refund Policy. To treat all people with respect and behave in a manner appropriate to the activity. To NOT behave in an aggressive way – we will not allow aggressive behaviour or any form of bullying (such as pushing, hitting, punching or kicking, swearing or spitting). Verbal Warning: The Organiser or a volunteer will tell a member once or twice that their behaviour is not acceptable. All verbal warnings will be recorded and will remain current for a period of one year. Written Warning: For repeated bad behaviour the member will receive a warning letter. Please note that for behaviour which could be dangerous to the safe running of Supported Activities Programme and its members and volunteers – a written warning may be given immediately without a verbal warning. Written warnings will stay effective for a period of one year. Any reoccurrence of unacceptable behaviour will be taken to the Executive Committee for investigation of possible suspension or termination of membership. Suspension/Termination of Membership. This action may be taken if the member continues to behave badly despite verbal and written warnings or if the behaviour actually harms a member or volunteer or is likely to harm another member or volunteer. In very serious cases the Supported Activities Programme Executive Committee reserves the right to suspend or terminate membership without verbal or written warnings being given. 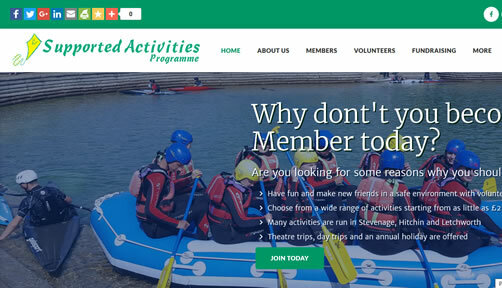 This means that the member may not be allowed to continue being a member of Supported Activities Programme. A member has the right to address the Executive Committee in person or in writing, with or without an advocate. The Executive Committee will review any application by a person whose previous membership has been suspended or terminated.